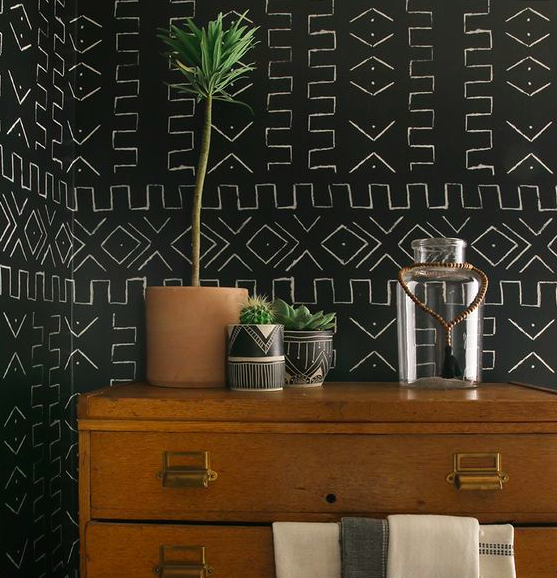 Mud cloth has the "IT" factor that is taking over the design world right now. Mud cloth prints are EVERYWHERE right now and I can't get enough! I have always been attracted to black and white everything, so I am so naturally drawn to this geometric and playful textile. You can find mud cloth in a variety of colors and patterns, blues are particularly popular right now. But, what I really love about this gorgeous material is the rich history behind it that instantaneously gives any space that "traveled feel" touch. Mud cloth is the direct translation of the word Bògòlanfini, meaning cloth died in mud. In the Malian culture, women die the cloth in fermented mud and men are responsible for weaving it. Men wear it for hunting and women typically wear it as they transition into adulthood and after childbirth. The fabric itself is believed to absorb danger under these circumstances. You can now find the mud cloth motif in anything including garments, wallpaper, furnishings, you name it! And you can only expect to see more of it throughout 2017. A tiny insight to me, I'm a compulsive Home Depot shopper... I mean, I can literally roam the aisles as most women do through Target. 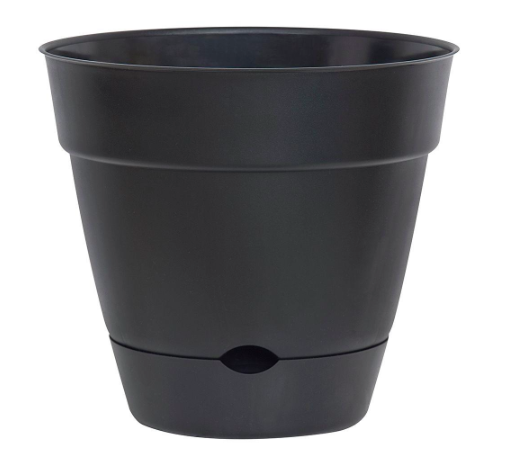 A few months ago, I bought two black plastic planters to transfer two small trees I had received from a client. They seemed to be my sleekest options and they were self-watering, which is highly necessary for this girl! But, I couldn't help but look at them without feeling they were a little boring and wanted to put a personal stamp on them. This is where the idea to do a Mud Cloth inspired design came in. 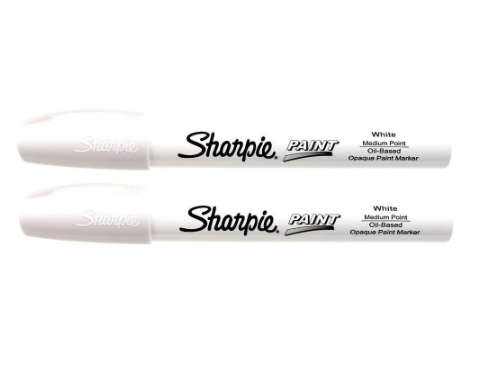 So, I went back to Home Depot and found myself a white paint pen. Happy Dance!! I wanted to give the planter a little height too, so I bought a small barrel mover as well. Doesn't hurt that it makes it easy to move the finished product around either! Painting my pattern was a great creative outlet for me. Some days, I just need a little time to myself to "create!" This project was easy to knock out in just under an hour and I went at it really organically. I love how the mud cloth textile has both a geometric feel to it, but kind of has no rules. I started without a plan and am so happy I did. I didn't want to copy a pattern that I had seen before and it was important to me for it to feel like it was my own. Now, I don't know that it would meet the people of Mali's standards, but I still love the end result! This little gem has certainly perked up my front porch! What spring projects are you into right now? Do share, I need my next one! You can see more details on my personal design style on my personal pinterest board.